Extremely bright and quiet modern apartment in the city centre, in the popular and lively Chinatown district. On the second floor with elevator, facing the inner quiet courtyard, of an ancient building recently renovated. From the hall, on the left there is a fully equipped kitchen, with dish washer, electric oven, gas hob, fridge/freezer. From the kitchen you have a view over the living room, from a nice and useful wooden shelf. In the living room there is the table, a sofa, an armchair, a library and the TV. 2 large windows are lighting wonderfully the room! From the living room you can climb down a step and enter from a door in the room turning soon into the 3rd bedroom. It has a fireplace, a window and a library. The bedroom will be furnished by a single bed, a desk and wardrobe, within the end of May 2017. The corridor leads you to the bathroom and to the other 2 bedrooms. The bathroom has the shower, the bidet and a window. The apartment is located in the city centre, in the popular and lively Chinatown district. The building is in the pedestrian Paolo Sarpi street, with many nice shops and restaurants. There are 2 metro station nearby, Monumentale M5 and Moscova M2, in addition to other tram and bus stops: it’s very good serviced by public transports! 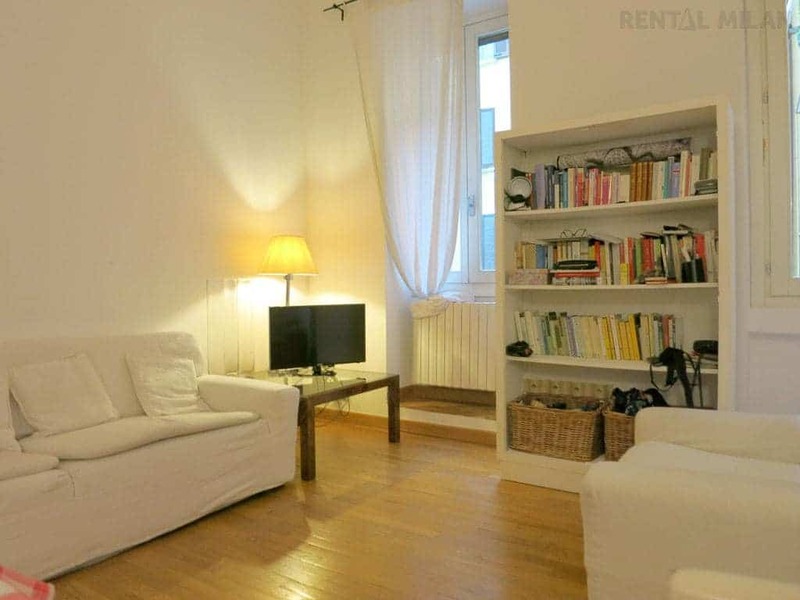 From the apartment you can enjoy a nice walk to the famous and prestigious Brera district and to the futuristic skyscrapers of Garibaldi area.